Perth’s Indie retailers play a huge part in making our Small City the great place that it is. Growing up around my family’s business on North Methven Street, I’ve been surrounded by the likes of Marian and Beaton Lindsay my entire life and these fantastic shops are at the heart of our local community, offering something quite unique in comparison to other cities in the country. All around the city centre and beyond, you’ll find Indies with their own story and their own individual hook that makes them so special and keeps them alive and kicking, even in today’s modern world of internet shopping. 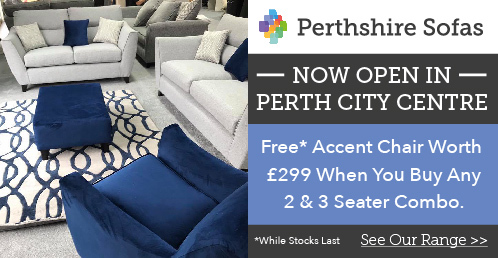 Newsagents, fashion shops, butchers, grocers and more, they’re mainstays in Perth and are always there with a smile, great service and have something that you can’t get online – personality. So, for today’s #PerthLoveFest article, I caught up with one of our city’s Indies who has run her own shop for nearly thirty years. 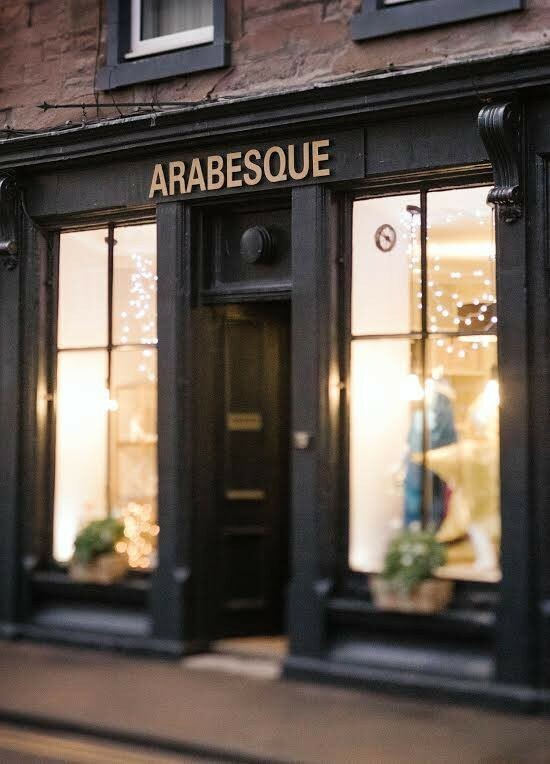 Sharon Colburn, of Arabesque Dancewear, has been on Hospital Street for three decades and has been there for Perthshire’s – and indeed the entire country’s – dancers, from the moment they get their first pointe shoes right through to in some cases, their careers on the big stage. I came from a family of independent retailers. My brother and I used to be in and around the shop all of the time when we were younger. It wasn’t until I got chatting with Sharon that I realised she had a similar childhood to myself, growing up around her family’s business - everyone will remember her grandad, Bill Wilkie - with her brother and popping into some of the neighbouring shops while waiting for closing time. Despite having a family of musicians, Sharon was more interested in dancing but even then she had no idea she’d one day have a shop of her own. What started as a stop gap has now developed into one of the country’s most respected dancewear shops, with customers coming not only from Perthshire but also from other parts of the UK. “I used to dance with Julie Young and we trained together when we were younger. When our old teacher sadly passed away, Julie decided to take over the dance school. That was never really for me! “I left school at 18 and I was kind of stuck on what I was wanting to do. So, as you do, I decided to open a dancewear shop with the initial intention of doing it for a year or so until I figured out what I was going to do with my life. Thirty years on, and I’m still here! 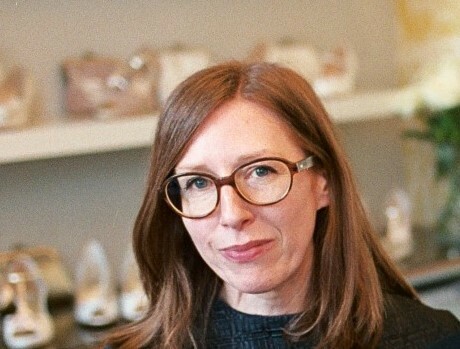 There are reasons why Sharon has managed to remain in business for so long despite increased competition from online shopping and the difficulties that times of recessions and austerity can bring to independent retailers. Support from her family and friends has been important but so too has the reputation she has built up within the dancing community over the years and the attention to detail and care she has for every single customer that walks through her door. “My family were always very supportive but they did obviously warn me about what it’s like do run your own shop. Being self-employed is one thing but having your own shop, a door which is open six days a week, it’s constant and you’ve got to be ready for that. I hope that our service and approach is what encourages people to still come in and see us and buy from us. “We don’t sell anything different than what you can pick up online or anywhere else, but I hope that our service and approach is what encourages people to still come in and see us and buy from us. Our relationship with our customers is key and we have a genuine interest in every single one of them – we’ll always be delighted to give advice to anybody who walks through the door. Having been a big part of the community for three decades, you can imagine that Sharon has many great highlights from her time in her Arabesque shop. Helping youngsters to make a start in dancing and being there for them throughout their progression is one thing, but when a little shop in Perth starts to make waves internationally then you know it’s doing something right! “We always try and keep a profile for the kids when they first come to us so we can monitor their progression and give them some guidance wherever possible. It’s nice to play even just a little part in their dancing lives. “It’s lovely when people come back to visit after buying from us and we love hearing about where their dancing has taken them – whether it’s just been some fun performances in dance schools, or if they’re professional ballerinas on the big stage! “I think my favourite thing about this job is seeing girls who have been waiting and waiting to be told they’re good enough to pointe – and then to fit those shoes for them for the very first time. Although we work with gymnasts, street crews and lots of other different types of dancing, ballet and fitting pointe shoes is probably my favourite thing. Perth born and bred, she’s experienced her family’s music business and created her own dancewear shop which has taken off more than she could ever have dreamed of as an 18-year-old girl looking for her calling in life. We look forward to Sharon helping Perthshire’s young dancers make a start in their careers for many more years to come! Arabesque have new stock arriving for Back to Dance school - regulation uniforms including RAD, ISTD, BBO and BATD for all the dance classes around the region plus a fantastic range of very cute pink tutu dresses for the pre schoolers! For students off to join Associates programmes and undergraduate courses, they're delighted to help you with your uniform list. Plus the BLOCH Fall collection arrives at the end of July, woo hoo! They're open throughout the summer holidays for pointe shoe fits, call on 01738 630574 to book your appointment.